What name could be more appropriate for the provider of tips on the gee-gees than The Racing Tipster? That is the title of the latest service we have just finished trialling here at Honest Betting Reviews, having proofed their tips for the last three months. It is run by a chap called Joel Ellis who has many years of knowledge and also form studying that has enabled him to devise this horse racing system. Coming into our trial, the results looked very impressive with over 300 points profit made to 1-point level stakes in just over a year of tipping. The service is very straightforward to follow, with an average of just one bet per day, normally provided in the morning. Unusually, prices are given based on the current price at Betfair rather than the bookies’ best price. So on to the important bit – what were the results like during our trial? Well, they ended up 8 points up at advised prices. That equated to a return on investment of 7% and was achieved with a strike rate of 26%. As you can see from the graph below, it was quite a topsy-turvy trial. At Betfair SP, a profit of 5 points was made during the trial. Whilst a profit was made during the trial, the bank only grew by 8% which wasn’t quite enough to warrant a passed rating for the Racing Tipster as we normally look for bank growth of 20-25% or more to award a passed rating, . So for the time being it’s a NEUTRAL rating from us and a watching brief for now. Ease of use: As we say, the workload is very low here with just one bet per day on average, with tips normally sent out in the morning. Availability of prices: Interestingly tips were sent out with the current Betfair price, rather than best bookies’ prices. We found that sometimes where the price was low (3.0 or below), it was tough to match the quoted price, but where prices were higher, we would often beat the advised prices. Ultimately the two things pretty much balanced each other out and that was backed up by the Betfair SP coming out very similar to the advised prices, with just a 3 point difference over the trial. Strike rate: The strike rate for the trial was 26%, which is somewhat below the long-term average of 37% and may explain why the results during the trial didn’t quite match up to the longer-term ones. Advised Betting Bank: A 100 point bank is advised when following the service and that seems very sensible to us based on the 1-point level staking and strike rate. Subscription costs: The subscription costs are a little on the high side based on comparative services, at £50 per month, £135 per quarter or £480 per year. The Racing Tipster came into our trial boasting strong results of over 300 points profit in just over a year of tipping. Unfortunately the results during our trial didn’t quite match those dizzy heights, but they did still manage to generate of profit of 8 points at advised prices. So it is a NEUTRAL rating for The Racing Tipster and it’s a watching brief for the time being on this one for us. Not much change for The Racing Tipster since our last update a few weeks ago, with 4 points lost in that time at advised prices. That puts them 9 points up for the trial overall at advised prices. A similar story at Betfair SP as well with 5 points lost since our last update, putting them 8 points up overall. Not long left in the trial, let’s hope for some big results to finish things off. The Racing Tipster has been on decent form since our last update, racking up a nice 10 points profit in that time at advised prices. That means they are now 13 points up at advised prices for the trial overall. Last time we noted the slightly unusual position of the Betfair SP results being better than the advised prices. Well that gap has been closed now, with the BSP results making just 2 points profit since our last update, putting them on 13 points profit overall as well. Good to see this one moving along nicely though, let’s hope for more of the same by the time of our next update. There’s been an unusual divergence for The Racing Tipster since our last update, with the Betfair SP results actually outpacing the advised price results. At advised prices, there has been a 1 point loss since our last update, resulting in a net position of being 3 points up for the trial overall. At Betfair SP however there has actually been a 5 point gain since our last update, putting them 11 points up for the trial overall. That is down in large part to Big Country winning at Wolverhampton, which made 10 points profit at BSP but only 5 points profit at advised prices. Anyway, it will be interesting to see if the current trend of the Betfair SP beating the advised prices continues. It’s been a good start to our trial of The Racing Tipster. After a couple of weeks, they are 4 points up at advised prices. At Betfair SP they are actually doing a little better, with 6 points profit made so far in the trial. This is just the kind of service we like – just one or two bets per day, all to 1 point stakes and plenty of time to get the bets on. Let’s hope the strong start continues. The Racing Tipster is apparently a tipster organisation run by a chap called Joel Ellis who has many years of knowledge and also form studying that has enabled him to devise this horse racing system. It delivers an average of one to two horse racing tips on a daily basis in the win market in Betfair. The service can also be used with other leading bookmakers as well. Just the kind of unwavering upward growth you dream of really. Since starting up in January 2017 the service has apparently made over 300 points profit, with an impressive strike rate of 39% and average odds of 3.88. That works out at profit of 22 points each month and what is encouraging is that every month so far has been profitable according to their results. Now as we always say, it remains to be seen if those results can be replicated under the spotlight of a live trial. But there is only one way to find out, so today we will kick things off and get going on a standard three month trial. As usual, results will be updated here regularly. 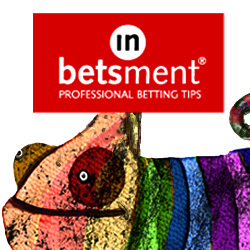 In the meantime, you can check out The Racing Tipster here. Each Way Value Tips is a horse racing tipster from the Tipstrr stable of tipsters and as you may have figured out from the name, it specialises in each-way betting. They apparently study the form and highlight opportunities to produce winning horse racing picks as they aim to make long term profits through selecting valuable odds. We were quite hopeful when starting off the trial as they had averaged a return on investment of over 40% prior to our trial starting, which is obviously pretty exceptional. As so often turns out to be the case however, things haven’t turned out quite so well under the spotlight of a live trial. Not to say they have done too badly either, with a profit of 20 points having been made at advised prices. However, with an average stake of 7.5 points per bet, that equates to around 3 points profit at 1 point level stakes and meant the bank only grew by 4% during the trial. With a return on investment of just 3% aswell, we feel that the only fair verdict in this instance is a NEUTRAL rating. Any profit is a profit, but it wasn’t high enough to warrant a passed rating, so it is a watching brief for us on this one for now. Of note was the fact that the Betfair SP results were quite a bit lower than the advised prices, with the BSP results finishing 69 points down in the end. So it is doubtful whether the service is practical to follow at Betfair SP. Ease of use: The workload isn’t too bad, with just one bet per day on average and the tips normally provided the evening before racing, giving plenty of time to get the bets on. Availability of prices: Prices are generally available if you get your bets on the same evening, but by the next day have often moved in and as we said above, at BSP the service was not profitable. Strike rate: The strike rate for the trial was 37% including the placed horses. Advised Betting Bank: No bank was advised for following the service, but we used a 500 point bank for the trial. Given the average stake was 7.5 points per bet, that seemed reasonable and was enough to cover the losing runs with plenty to spare. Subscription costs: The subscription costs are fairly reasonable at £15 per week, £29 per month or £69 per quarter. Betting each-way has the attraction of giving returns more often, shortening losing runs and improving the strike rate when compared to win-only betting. Each Way Value Tips from the Tipstrr stable provides only each-way tips and prior to our trial had an amazing return on investment of over 40%, so we were quite hopeful coming into the trial that it could be something special. During our trial though a profit of just 20 points at a return on investment of only 3% was made, resulting in a NEUTRAL rating from us for the service. It is a watching brief for now on this one and let’s see how it progresses over the Summer flat season. Unfortunately Each Way Value Tips have given back just about all their profits accrued up to now in the trial, with 42 points lost at advised prices since our last update a couple of weeks ago. That means they are now 4 points up at advised prices overall. At Betfair things haven’t gone very well either sadly, with 44 points lost since our last update and 78 points lost overall. So it’s questionable whether this is practical to follow at Betfair SP but at least we are up at advised prices. There’s been a big turnaround recently for horse racing tipster Each Way Value Tips, with 199 points profit made at advised prices since our last update. That means they are now in profit for the trial overall at advised prices – 46 points in profit to be precise. Sadly at Betfair SP they are still down for the trial though, with 157 points profit made since our last update but still 34 points down overall. Hopefully they can continue the recent turnaround and if so then they should move into profit at Betfair SP soon too. With all the adverse weather we’ve had here in the UK, there hasn’t been much racing around this week. That has meant there haven’t been many tips from the horse racing tipsters we are following. The few tips that there have been from Each Way Value Tips unfortunately haven’t led to any progress in their results either. Since our last update, they have lost another 14 points at advised prices and are now 153 points down for the trial overall. It’s a similar story at Betfair SP, with another 27 points lost since our last update and 191 points lost overall. As we have said before, they tip generally at 5 points each way per bet, so the results aren’t as bad as they sound. However, we do need things to turn around for them soon. The tough run has continued for Each Way Value Tips, with another 86 points lost to advised prices since our last update. That means we are now 139 points down for the trial overall to advised prices. At Betfair SP things have been a struggle too, with 106 points lost since our last update and 164 points lost overall. It should be borne in mind that the results aren’t as bad as they sound however, as the average stake is close to 10 points per bet, so it is the equivalent of being around 14 points down at advised prices to 1 point level stakes. So with one big winner things could turn around completely for them. Let’s hope that turns out to be the case by the time of our next update. It’s been a bit of a tough start to our trial of horse racing tipster Each Way Value Tips. After two weeks we are 53 points down to advised prices. At Betfair SP it is a similar story, with 58 points lost so far. It is worth bearing in mind with this tipster that they tend to bet 5 points each way on each selection, so the results so far aren’t quite as bad as they sound. To 1 point each way stakes we would be around 10 or 11 points down so far, which isn’t a disaster or anything. Anyway, let’s hope we have more positive news to report by the time of the next update. Today we are starting a new trial of a horse racing tipster called Each Way Value Tips from the Tipstrr network. This is a tipster with a very promising-looking record of over 1900 points profit amassed so far. That has come at a very high 40% return on investment and 38% strike rate since starting up. Although fairly new to tipping in just their fifth month of providing selections on the Tipstrr platform, their record looks impressive enough to be worthy of further investigation. As the name suggests, this service focuses on each-way selections, with nearly all bets being on that basis rather than win-only. The average odds so far is 7/1, so betting each-way you can see how the strike-rate of close to 40% is obtained. There isn’t a lot of info on how selections are chosen or the person behind the tips, but clearly they have been working very well so far. If those results could be repeated in the long run then it would be very impressive indeed. It looks like the tips are sent out in good time before races start, with most sent out at least 12 hours before races start. There is currently an offer to join up for just €13 for the first month, whereas normally it is €35 per month so a pretty decent offer considering the results achieved to date. All in all then this looks like a very interesting service and we are keen to get a new trial underway. As usual, we will record results in full and will report back here regularly on how things are going. In the meantime you can check out Each Way Value Tips here. This is our second time reviewing Thoroughbred Betting. We reviewed it originally back in June of last year and gave it a failed rating after it finished 25 points down at the end of our three month trial. However, as the service passed to new ownership (and a new tipster) we were prepared to give it another look as it is like starting from scratch again really with a new tipster at the helm. Unfortunately though the results have turned out pretty similar in the end. We finished 16 points down this time to advised prices versus 25 points down last time, both of which were disappointing in all honesty. Firstly very little in life is guaranteed (other than death and taxes), but certainly nothing is guaranteed in the tipping game. It’s an up and down ride and even the best will have losing months sometimes. So unsurprisingly the guarantee didn’t last longer than a couple of months and when someone makes a claim like that it damages their credibility to a certain degree. Anyway, whilst it was a disappointing trial, finishing 16 points down was not a complete disaster and only represented a small loss of the bank, so we think a NEUTRAL rating and two and a half stars is an appropriate rating for Thoroughbred Betting this time. Ease of use: Pretty straightforward service to follow, just a couple of bets per day on average sent the evening before racing, with the occasional late tip sent out on the day. Availability of prices: We didn’t see much of an issue in obtaining the advised prices. The Betfair SP results were only 8 points worse than the advised prices, with a loss of 24 points. Strike rate: The strike rate during the trial was 25%, which is a little below the long term average of 36%. Advised Betting Bank: No bank was advised for following the service but we used a 100 point bank which proved to be sufficient. Subscription costs: The costs to sign up are £1 for the first 14 days then £37 per month. Although under new ownership, unfortunately Thoroughbred Betting returned similar results to the previous owners, with a 16 point loss being made to advised prices at the end of our three month trial. Whilst that wasn’t a calamity by any means, we feel it is a watching brief for now until there are signs that the service can start generating some regular profits. The slow improvement has continued for Thoroughbred Betting, with another 5 points profit made since our last update. That means we are now level for the trial at advised prices. There has also been a small improvement at Betfair SP, with 2 points profit made since our last update. However, that still leaves us 10 points down for the trial overall at Betfair SP. The highlight of the trial came on Saturday when they managed to land three winners in a row, at prices of 15/8, 5/1 and 11/4, which would have been nice if you had it in a treble. Anyway, good to see the service has recovered to get back to even and let’s hope it can now finish the trial with a flourish. There’s been something of an improvement for Thoroughbred Betting since our last update, with 12 points profit made at advised prices. That means we are just 5 points down for the trial overall at advised prices. At Betfair SP things have picked up as well, with 9 points profit made since our last update, but we are still 12 points down for the trial overall. Hopefully they are back on the right track now and we will see things move into profit for the trial overall soon. It’s been a rocky start to our trial of Thoroughbred Betting, with 17 points lost to advised prices so far. At Betfair SP it has been a little bit worse, with 21 points lost so far. We always cringe a little bit whenever a tipster says that because no matter how good you are, profits are never guaranteed. And they will have to go some not to finish well down for this month, so that guarantee is looking a little hollow right now. To be fair to them though, it is still early days in the trial and far too soon to draw any conclusions. They have also had quite a large number of second places so with a little bit of luck results could be a lot better at this point. Let’s hope some of those seconds start turning into wins for them going forward. Back in June we completed a trial of Thoroughbred Betting (a horse racing tipster) and gave it a failed rating after it lost 25 points during our trial. However, the service has since been taken over by someone else and they are taking a completely different approach to it. So we thought we would give it a look and see if the new owner can do a better job than the previous one of making some profit. In many ways it is like a brand new review, but since we already have a “Thoroughbred Betting Review” here on the site, we thought best to clarify what was going on so there was no confusion. The new Thoroughbred Betting service is run by a guy called Paul and he says the reason he bought the service was due to the large social media following as well as having a fully functioning website. That sounds fair enough to us. He says he is not a tipster as such, just a very well connected member of the horse racing community and gets insider info which he uses to his advantage. “I’m connected with well over 100 very influential people in racing and this allows me a clear upper hand when tipping horses. Having said that it doesn’t take into account factors such as unknown injuries/illness with the horse, jockey error etc so its never a guarantee. The best way I can sum it up is every time I tip a 6/1 you can basically expect it to run like a 3/1, and a 4/1 will most likely run like a 2/1 and so on. Its like flipping a coin that 65% of the time will land on heads. If you only flip it 3 times it may still land on 3 tails, its unlikely but it can happen. But flip that coin 300 times and you know for a fact they’ll be more heads than tails. That analogy sums up what my service offers. Its absolutely guaranteed monthly profits. I can’t believe that some tipsters have losing months and say its just a blip. I don’t have losing months. NEVER. Well we’ve heard that before a few times and virtually all of such promises have failed to deliver, but we will put our scepticism aside for the moment and see how the new Thoroughbred Betting gets on during a live three month trial here at Honest Betting Reviews. Since taking over the service, the results published on the website look promising with 36 points profit made at an ROI of 46%. Our own trial results will be updated on this page periodically during the trial and we hope we will have some good news to deliver. We started receiving the tips on 29th October and they have started well so that is a good sign. Let’s hope it continues like that. You can check out Thoroughbred Betting here.